Are you planning a trip to view properties in Portugal? If you have decided that you are going to buy a property in Portugal and have an idea of the areas of Portugal you can see yourself buying in, then you have reached that most exciting stage of your overseas property journey! The next step is to take some time to go on a viewing trip to have a look at some Portuguese properties. There is certainly a great deal to think about! Your viewing trip is one of the most important elements of the property buying process, and it can also be one of the more expensive stages. You need to make sure that you plan it all in advance to make the most of it and ensure you don’t waste all of that time, money and effort by viewing the wrong properties and speak to the wrong people. Our Viewing Trip Guide is the perfect resource to help you on your way to understanding and planning every step of your trip. 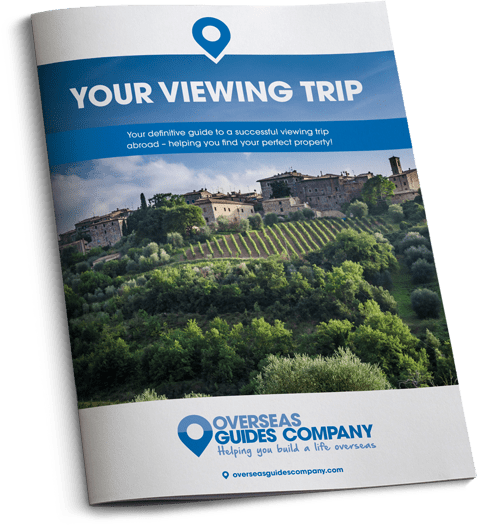 It is a useful guide which covers everything you need to consider before and during your viewing trip overseas. Download your free Viewing Trip Guide today by completing our short form. Reading the Portugal Buying Guide was absolutely crucial in preparing for buying our property in Portugal, especially as we’d never been to Portugal before! We knew the country offered a great way of life and had a good climate all year round, but waited until we had all the facts to plan everything carefully. We ended up buying our home in Portugal through one of the estate agents recommended by Portugal Property Guide, who were very helpful.